Home > f > F.K.Ü. Deutchland Into the Pits of F.K.U. 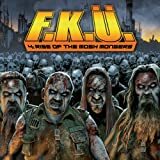 Into the Pits of F.K.U.